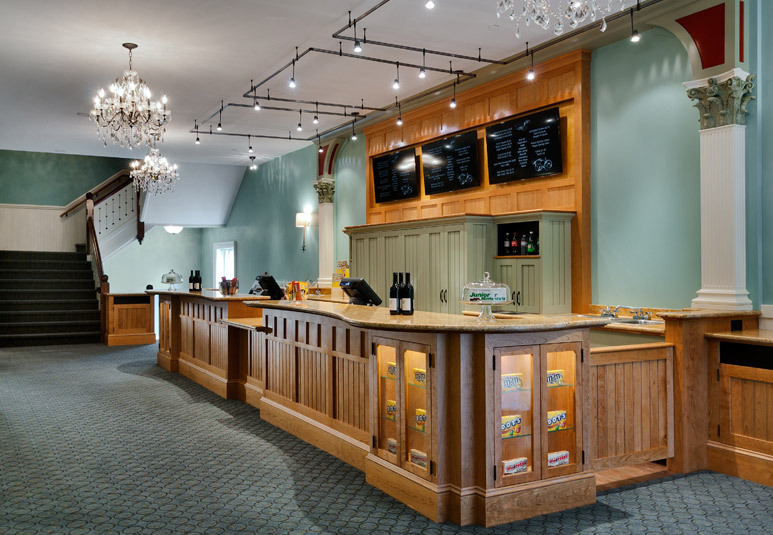 Built in 1878, The Music Hall was Portsmouth’s most elegant theatrical venue and currently is the oldest theater in New Hampshire. 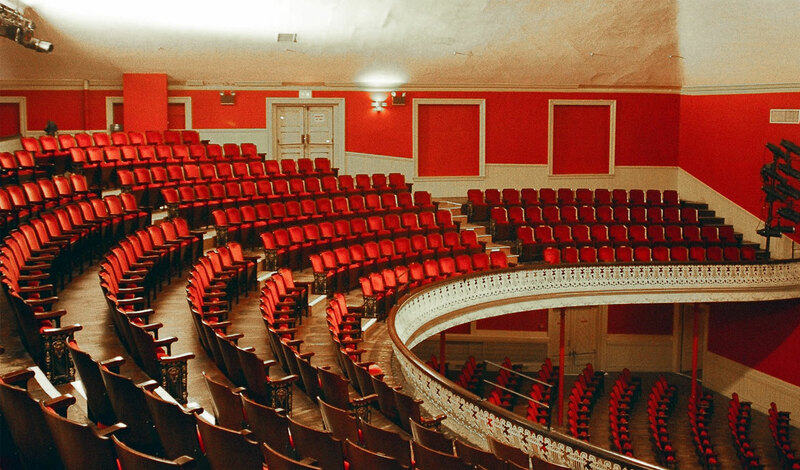 Illustrious performers such as Mark Twain, Harry Houdini, John Philip Sousa and Buffalo Bill Cody all made appearances on The Music Hall’s stage, along with Shakespearean dramas , minstrel and vaudeville shows and eventually “talking pictures”. 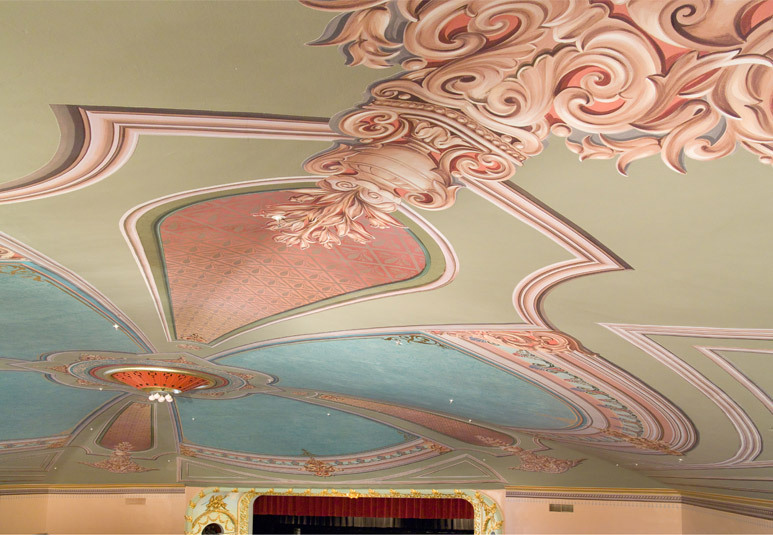 Eventually, the 900-seat theater was sold at auction in 1945 and the new owners enthusiastically attempted to “modernize” the structure with new seats and thick coats of white paint obliterating all the gilding and beautiful ornamentation. 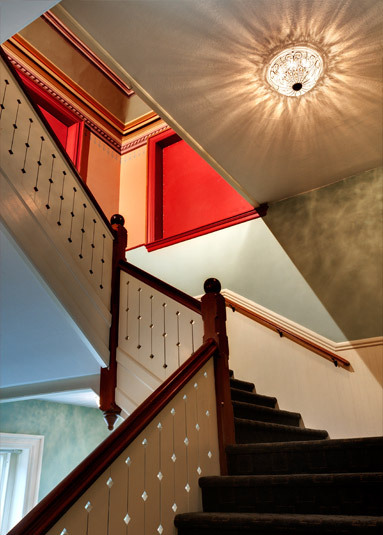 Over the next twenty years, an organization, “Friends of The Music Hall”, was formed dedicated to saving the historic structure. 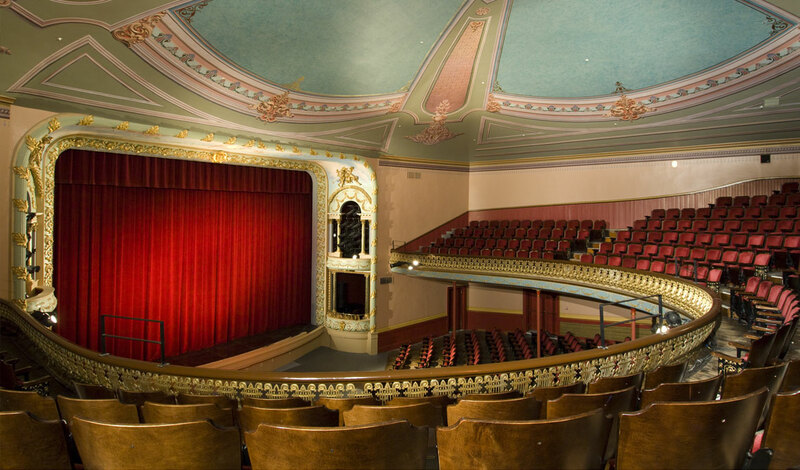 This group, along with Music Hall’s staff, board members, patrons and volunteers, worked tirelessly to restore The Music Hall. 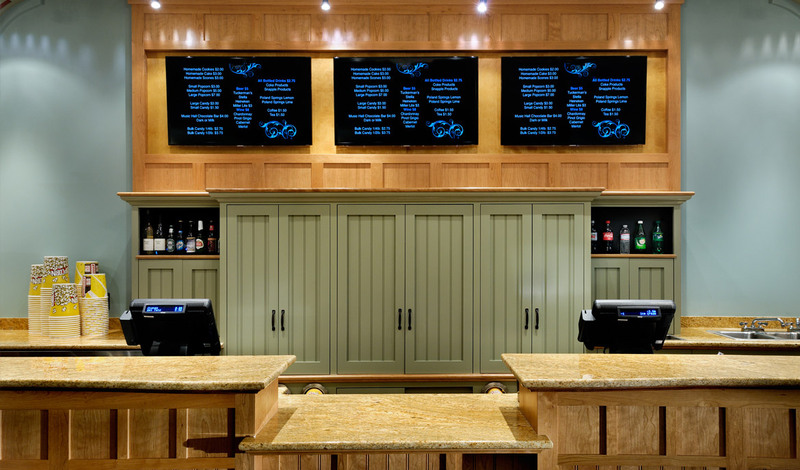 Tackled in phases, the first item of business for TMS Architects was to stabilize the building’s envelope. 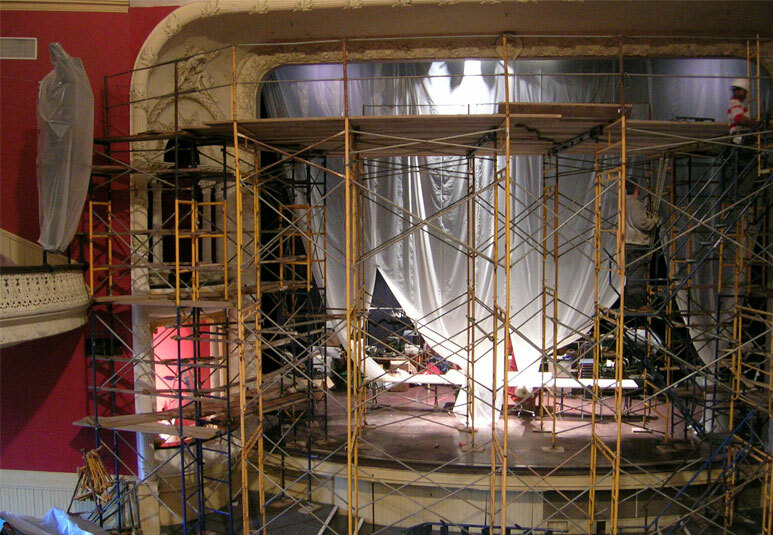 After this structural work was completed, the first phase of the interior renovation began, focusing on restoring the theatre’s grand proscenium arch. 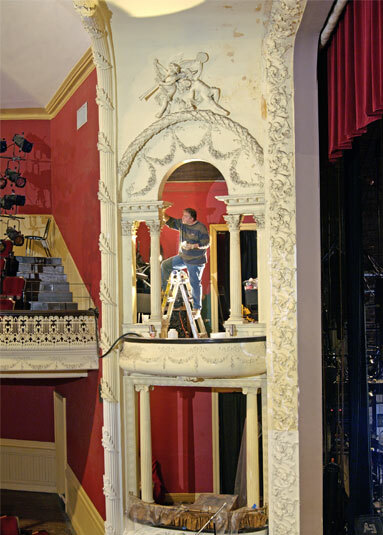 After unveiling the proscenium arch to the public at a gala evening in 2006, work then moved to Phase Two which called for the restoration of the auditorium itself. 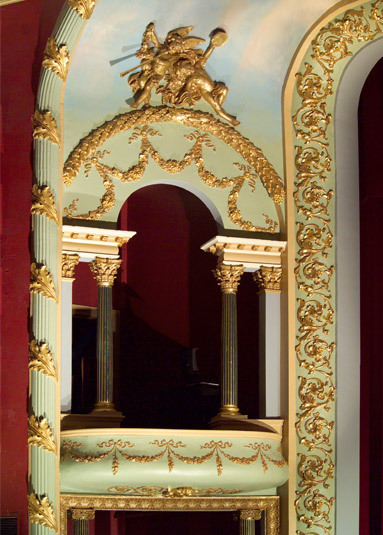 Gilding was added to the railings, all walls were painted and in 2007, murals were discovered painted on the theatre’s domed ceiling and restored.